Dentures, (also described as False Teeth), are prosthetic devices made to replace missing dental tissues including the teeth and gums. They are supported in the mouth, by both the soft tissues (gums, palate etc. )and the hard tissues (bony ridges,adjacent teeth etc). In cases where retaining a Denture securely in the mouth is compromised, we can use either a precision attachment (laboratory constructed attachment on a remaining tooth) or Dental Implants to improve the patient’s comfort. An implant retained Denture is dramatically more secure and comfortable in the mouth, but it does involve surgery and is far more costly. 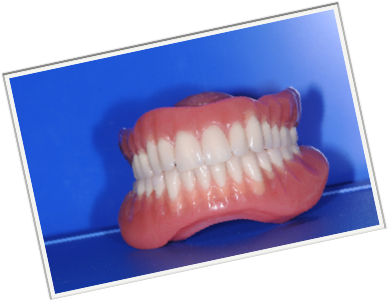 Dentures can be Partial or Complete depending on how many teeth need replacing. 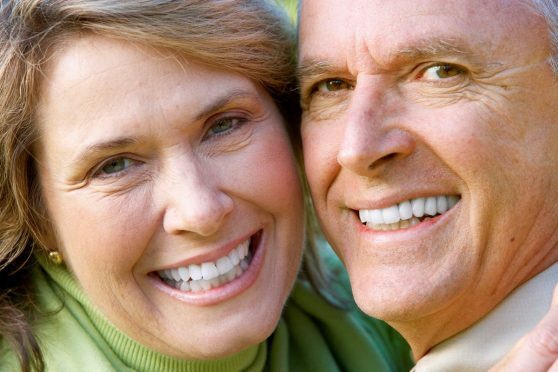 The main issue with Dentures, is that, in an attempt to gain maximum anchorage and support from the mouth, the Dentist has to utilise all available support including hard and soft tissues,in order to avoid a loose, uncomfortable, poor-fitting device. This increased bulk in the mouth can prove difficult to tolerate for many patients and a “foreign-body” type response to wearing a Denture. Many of these prostheses can end up in a drawer at home, as a result. For this reason, at Market Green Dental Care, we strive to discuss all the issues pertinent to your individual case and try and design a device which will balance the need for grip but avoiding excessive bulk where at all possible! Dentures, can be more problematic as we age, due to the fact that our mouths cannot tolerate change as well when we get older. Also, as we age, there is increasing loss of bone and gum tissue (“shrinking gums”), which means the denture has to replace more lost tissue and they therefore increase in size!…This means that at age 40 a Denture can be made and a patient may be extremely satisfied with the result; but if a new one is made at age 60, there will be increased bulk needed to support the face,lips, chewing function etc which will be less well tolerated by the same person. In first world countries, a complete loss of teeth, necessitating Complete Dentures would indicate that the person is considered dentally crippled as such, and an implant retained approach would be recommended. Please discuss with Dr. Sharkey if you are having problems with your conventional dentures and we will review your options. There are two main types of Denture used worldwide today and these have not changed dramatically in the past 50 years, but the process of impression taking and manufacture has improved to help achieve the best results possible. They are routinely made from Acrylic (Plastic) or Cobalt/Chromium which has a metal framework and the latter employs clasps on the remaining natural teeth, to help provide better stability and comfort. Nickel can be present in small quantities in the latter type of Denture and if a patient has an allergy to any metal products, it is advisable to discuss with Dr. Sharkey as alternative options do exist! Finally, the process of making a set of Dentures normally takes up to four visits over a two month timeframe, but in urgent cases, this can be speeded up dramatically. Dental Technicians are used in the laboratory, to help fabricate the appliances and certain laboratories even make them directly for the patient. This is often carried out cheaper than with the Dentist, but in my opinion, only a Dentist has the appropriate training to determine the state of the mouth and remaining teeth prior to making Dentures. If designed incorrectly, or placed at the wrong time (e.g. if further tooth loss is likely in the near future); this can actually worsen the oral situation and damage future options for the patient ! In some urgent or temporary cases, I will often refer a patient to the lab myself, to provide a cheap temporary option prior to provision of an ideal replacement when the time is appropriate!